1872 Cafe Will Re-Open Tomorrow! Donuts Delite Celebrates National Donut Day! 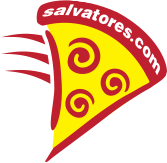 Salvatore's Pizza Now Served at Frontier Field! Salvatore's Ranked #55 in Nationwide Top 100 List!